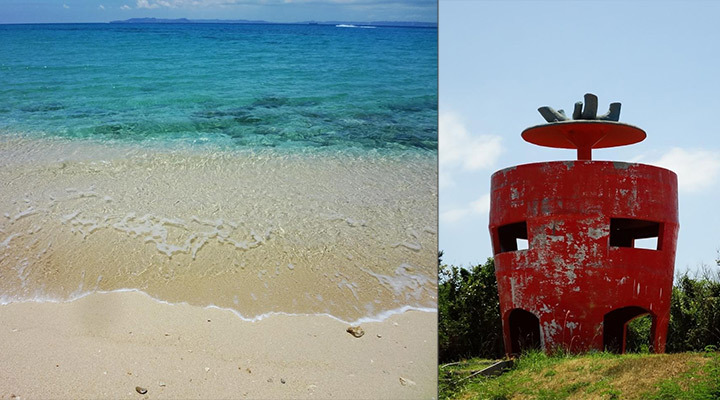 Do you want to check out places other than the main Okinawa island but don’t want to spend too much time travelling? 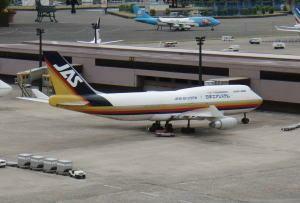 You may know Ishigaki island and Miyako island, which you can only access by airplane. However, there are other islands you can visit within a day, which may save you more time and trouble travelling! 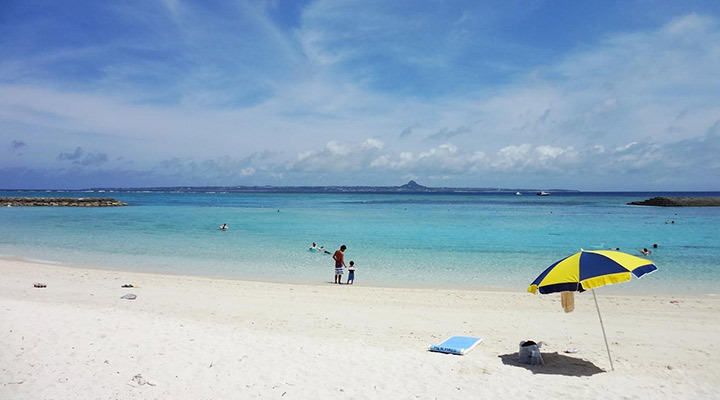 Some island may not be as well known as Ishigaki island, however, each island has its characteristic which you may enjoy without the crowd. 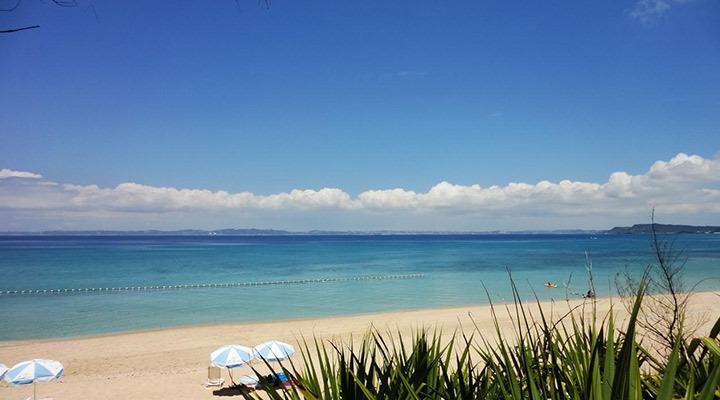 15 minutes by speedboat or 25 minutes by ferry departing from Chine-nazama port, which is 1 hour away from Naha by car. 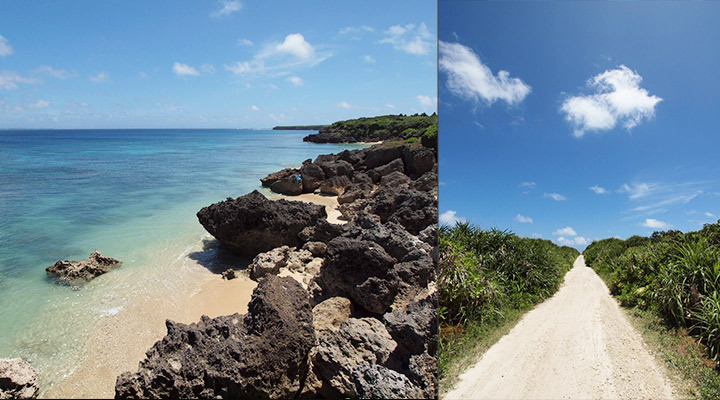 Kudaka island has been introduced by Hiroyuki Ehara in his book and it is one of the power spots in Okinawa. Power spots are places in Japan, where people go for positive energy or improve their luck. Most power spots are related to the presence of nature and divinity. There is barely any modern buildings on this island, so you get to enjoy the original form of the island. It is recommended to rent a bike and go around this island, this way you get to relax and recharge yourself with the amazing nature beauty. 15 minutes by speed boat departing from Toguchi port, which is 30 minutes away from Nago by car. 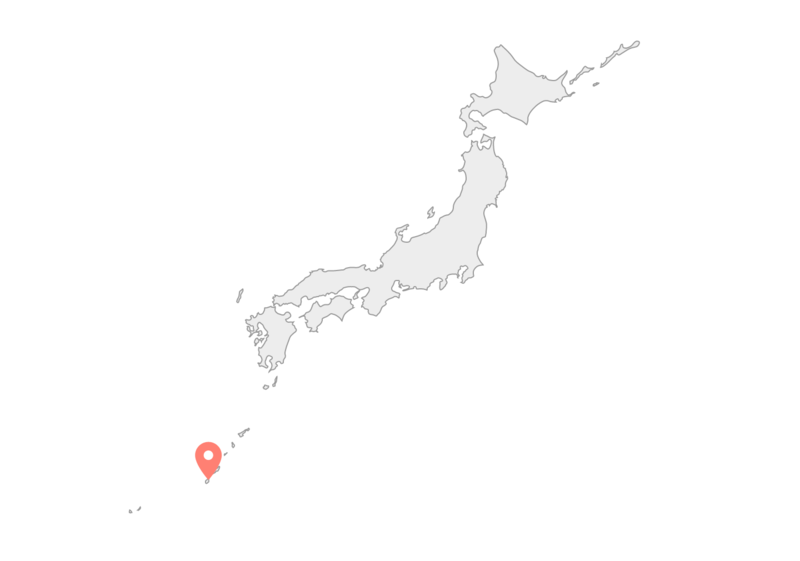 Minna-jima is about 5.7 km away from Motobu area. It is a small island with an area size of 0.47km². The shape of the island looks like a croissant, hence it is also often called the Croissant island. 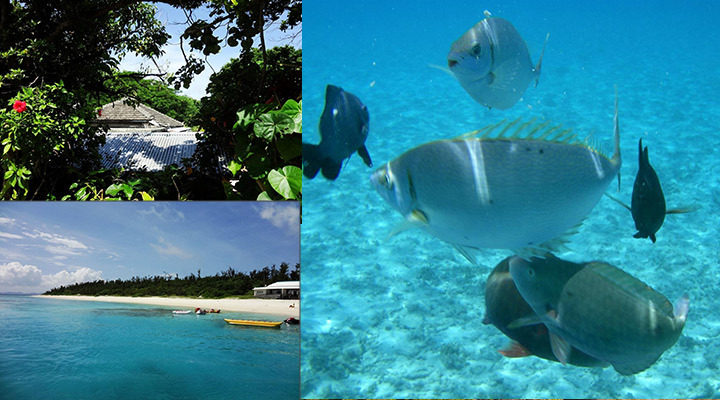 It is the best spot to snorkel and see all the colorful tropical fish swimming around you. You would probably want to stay here for longer than a day because of the breathtaking view of white sand with the emerald green ocean water. 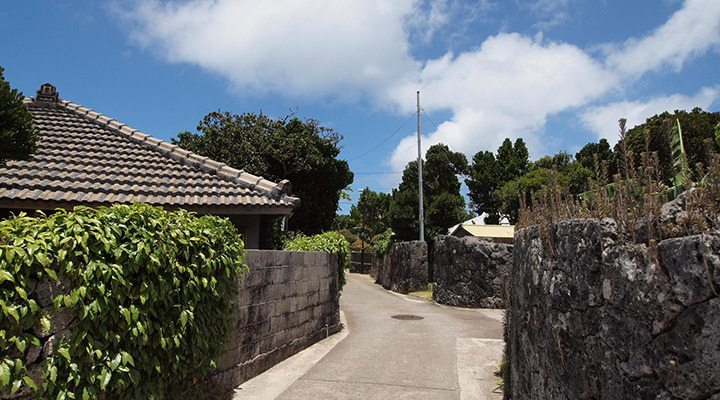 It is a deserted island 15km away from Naha. They have a regular service during April and November for people going there for the resorts. Although there is no locals living there, but there are variety of watersports and activities, which means you will never get bored visiting here! On the island there is small cottage and beach parasol rental available, so you can chill under the shade and enjoy the stunning beach. There is also food kiosks selling curry and beer, so you don’t have to bring your own lunch! 30 minutes by ferry departing from Motobu port, which is 30 minutes away from Nago by car. 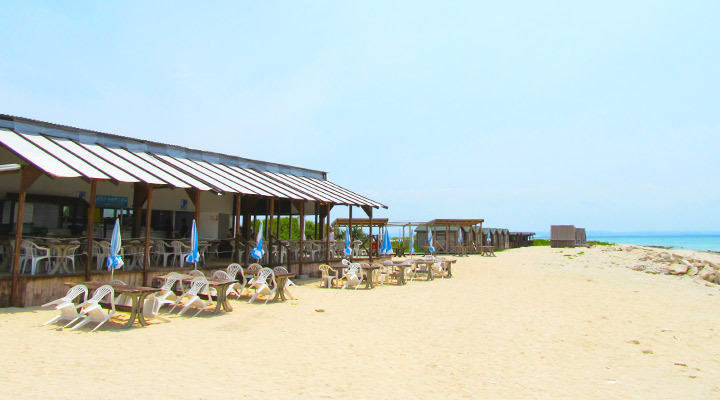 I-ejima is about 5km away from the Motobu peninsula and can be accessed by ferry within 30 minutes. If you are in Okinawa Churaumi Aquarium, you may find a pointed hat looking island, when looking out towards the ocean from the Aquarium. 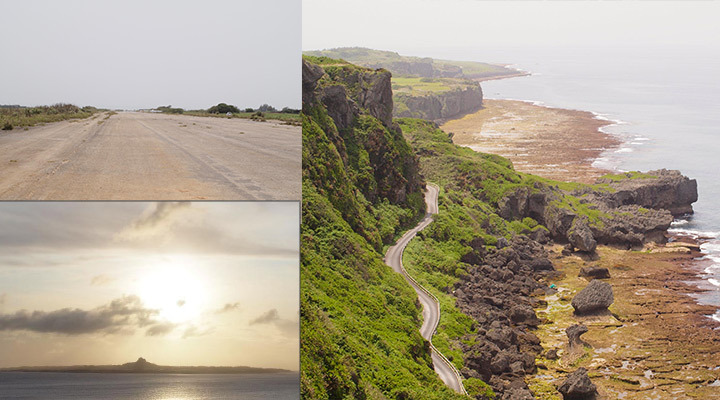 Starting from the symbol of I-e island, Mount Gusuku, there are also other tourist spots you can visit. For instance, I-e port, I-e beach, lily field park. 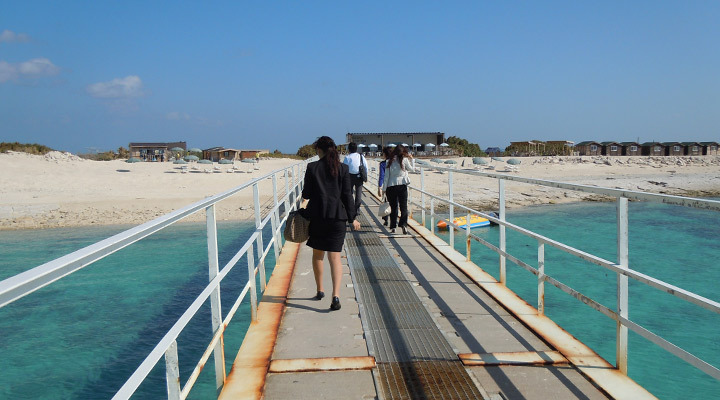 On the west side of the island, there is the American Military base, so visitors are not allowed to enter. The most popular period to visit the Lily field park is probably during early May when the Easter lily are in bloom. 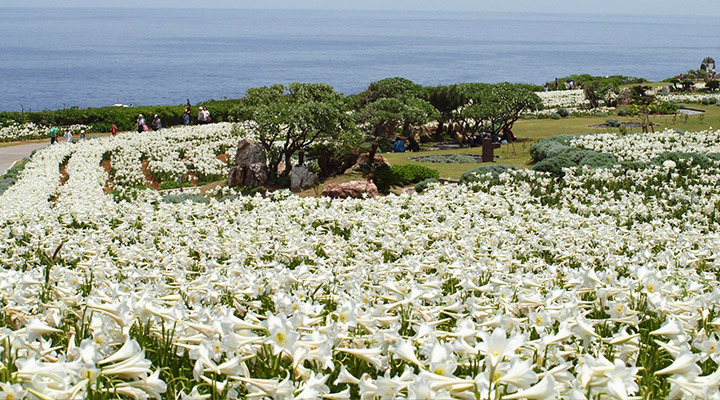 It is just stunning when the white lily contrasts with the blue ocean. 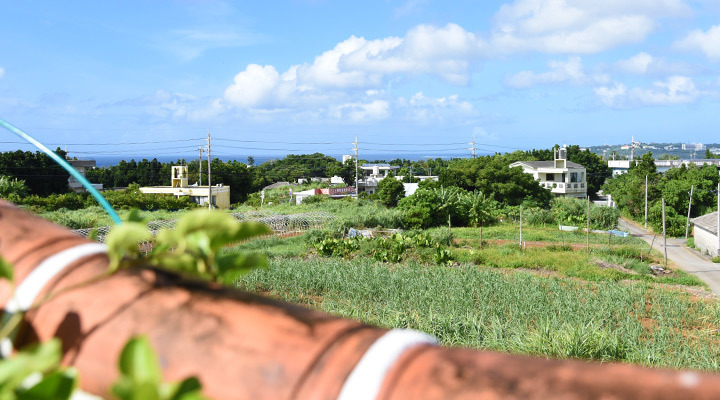 Tsuken island is also known as carrot island, as there are lot of carrot farms on the island. There is even a carrot looking observation tower and various carrot related sweets and cuisine sold on the island. There is also bike rental available, so you can definitely spend a relax day around the island hustle free. The guesthouse is well furnished with wooden flooring. Both breakfast and dinner is included and both dinning room and bedrooms are well-ventilated. 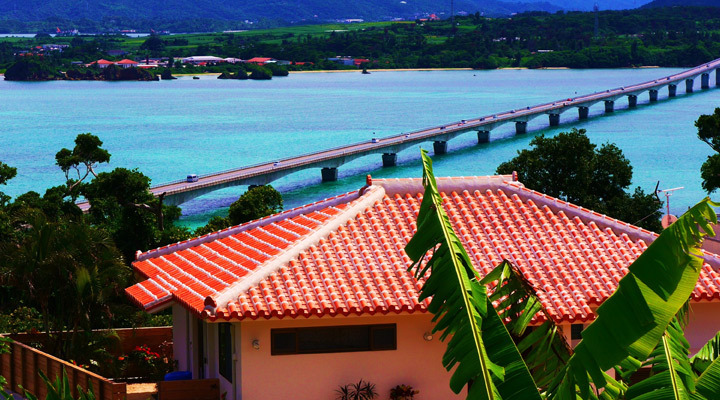 You get to see the Sesoko island and the beautiful ocean from the guesthouse! I assure you will have a great experience staying here!